Growing up in Singapore all my life, I can safely say that we take our safety for granted. Our country’s low crime rates gives us a sense of security and enough confidence to walk down dark alleys in the middle of the night without fear. But as we are often reminded, low crime doesn’t mean no crime. The fact is that even in a country with low crime rates like Singapore, one still reads about the periodic sexual assaults that happen here. With that, I grabbed a couple of my female colleagues to attend a self defence class at Kapap Academy. 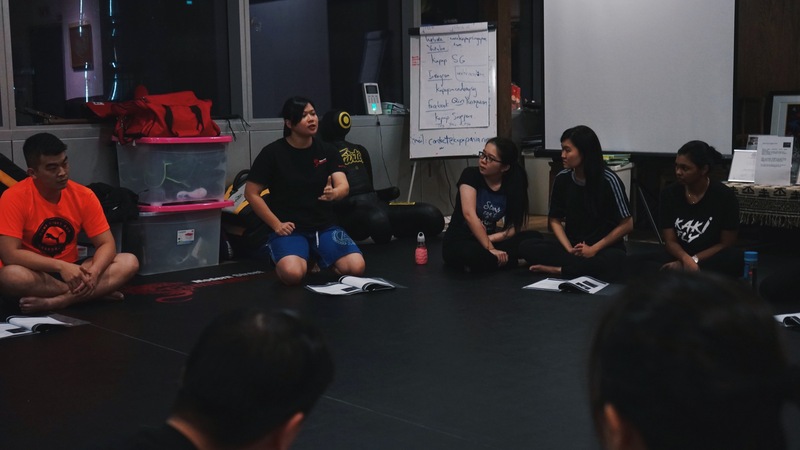 Jumping at the opportunity to attend a free trial class, Kapap Academy CEO and co-founder Qin Yunquan, invited us down to her academy to learn the basics of self-defence. 29-year-old Yunquan, teaches Kapap which is a form of Israeli hand-to-hand combat developed for the military. She is also the chief instructor for ladies and children, and was also inducted as a co-founder for her contributions to the academy in its early years. She has since tweaked the original version to better suit real-life situations. 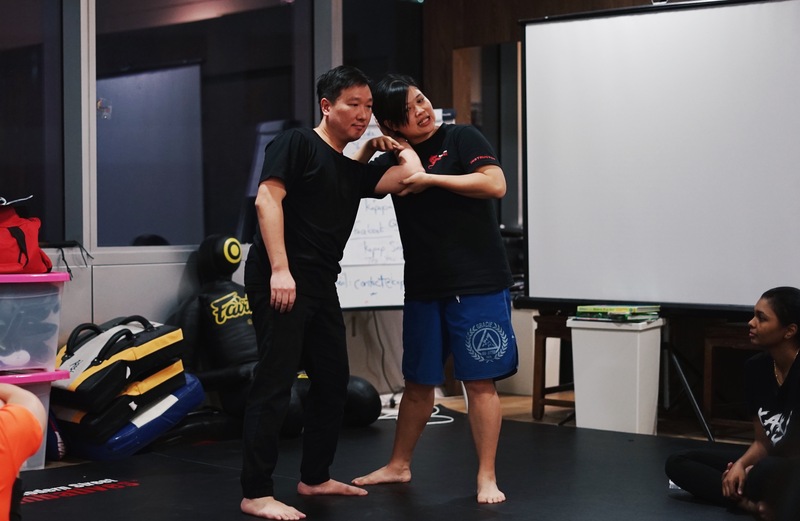 Called Modern Street Combatives, the academy’s self-defence system teaches people to be street smart as well as studying predatory psychology to detect and avoid dangers. Her sessions are typically 2 hours long and is split into an hour of theory lesson and another hour of practical where students can perform the moves that were taught in the theory. Upon arrival at her class, we sat in a circle around the mat and immediately dived right in to her theory lesson. Now before you yawn at the idea of an hour of theory lesson, Yunquan keeps it fun and engaging by having her students demonstrate some of the moves with her. Standing at just 1.62m tall, we were all impressed by Yunquan’s abilities to pin down a male student with minimal effort. 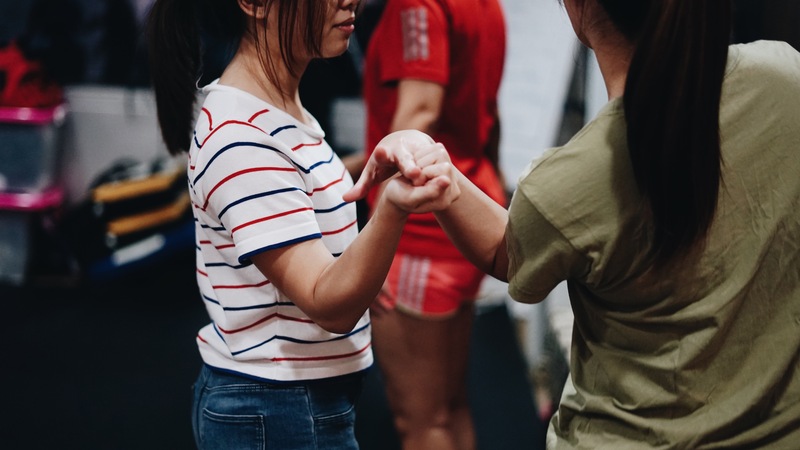 At Kapap Academy, they believe that instead of using physical strategies to defend oneself to survive an assault, victims of such aggression need to learn appropriate strategies and tactics to de-escalate, evade or control and restraint their assailant until help comes. Using knowledge drawn from both psychology and body guarding training, participants will learn how to identify signs of an imminent attack, and position oneself to create opportunities to escape. 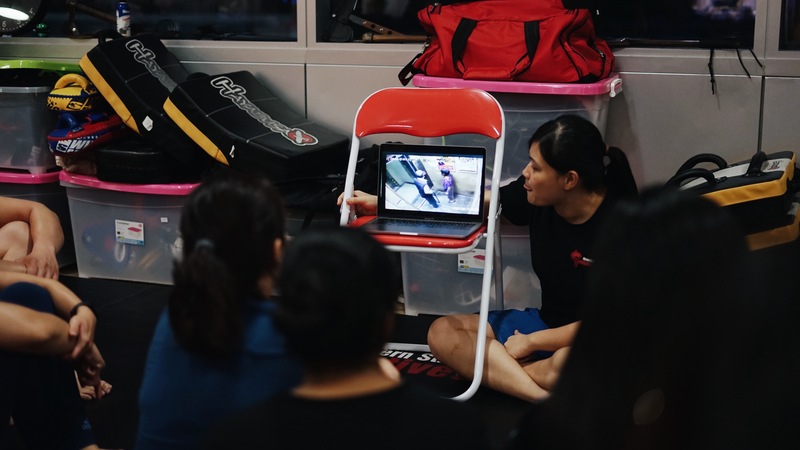 Instead of relying on strength based techniques that are often taught in combative sports (E.g Muay Thai, Taekwondo, Mixed Martial Arts etc), participants learn how to use principles of bio-mechanics and leverage to protect themselves. This lesson was particularly useful for everyone as we learned tactics on how to protect ourselves when we’re faced with a case of molestation and getting out of these difficult situations. Once theory was over, we paired up and started on the practical. As we were attending a Level 1 class, we mostly covered basics such as breaking out from various forearm grabs and holds. From learning how to get out of a hair pull to learning how to escape if you’re being cornered, Yunquan taught us practical moves to use to get yourself out of the situation. 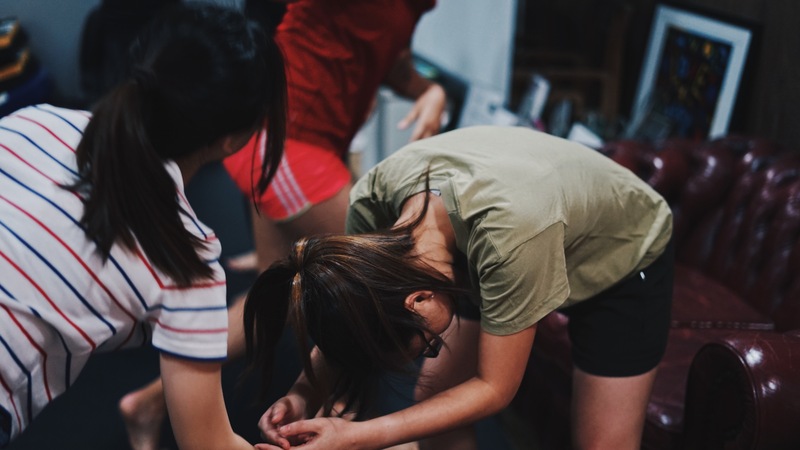 Even if you’re petite or not physically fit, the moves taught during this class really showed us that as long as you learn the pressure points and critical points of the human body, you’ll definitely be able to get yourself out of any dangerous situations. After a whole hour of flipping and hurting my colleagues, we huddled in front of Yunquan’s laptop to watch videos of real life assaults and harassment. We sat and discussed ways to tackle the assault if we were ever faced with a similar situation. 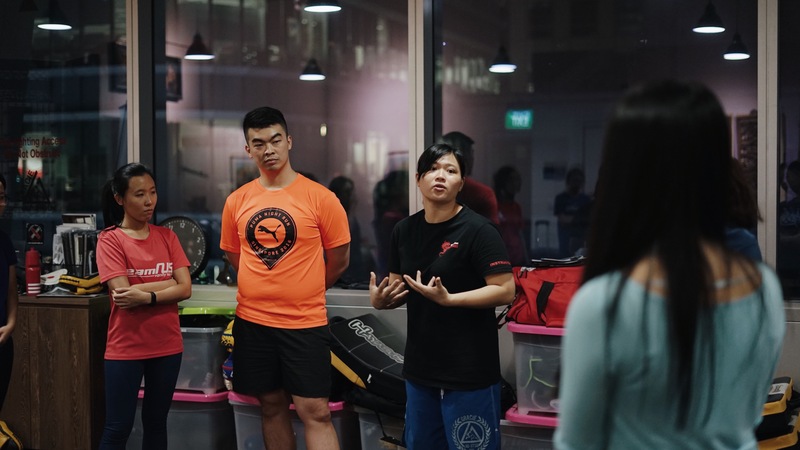 Holding classes for people of all ages and physical capabilities, Kapap Academy aims to provide ordinary people with the tools/skill sets to stay safe against worst case scenarios in the streets. So whether you’re preparing yourself for an overseas posting, overseas studies or you plan on travelling to unsafe cities, it’s important to keep safe while enjoying your new experiences abroad. Who knows, the next time the unexpected happens, you might just be able to protect yourself or your loved ones against the attackers.